Inequality, Digitalisation & Competition | The Forum Network, hosted by the OECD: Shape ideas. Shape policy. Shape the Future. There is growing concern that a few so-called “frontier firms” may be consolidating dominant positions, preventing the spread of innovation and increases in productivity throughout the economy. 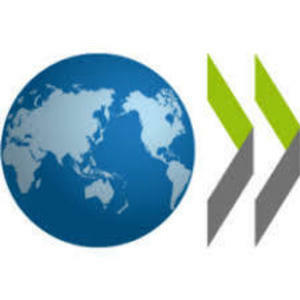 Small and medium-sized enterprises (SMEs), the sector of the economy that is the biggest employer in OECD economies and a motor for regional and local development, are particularly susceptible. At the same time, the digital sector has shown greater dynamism over the past decades and many dominant firms have disappeared thanks to strong, innovative competition. Business dynamism also appears to be decreasing in many economic sectors, including a decades-long decline in the number of new businesses being started and the rate at which workers change jobs. The solution is more competition, which traditionally has meant more robust antitrust enforcement. But ensuring competition today means looking at its next frontier: our online digital environment. Constantijn van Oranje-Nassau, Startup Envoy for StartupDelta, highlighted that the so-called "digital platform" companies have allowed many startups to thrive, and enhanced consumer choice through internet search and e-commerce. While some features of the digital sector could favour the emergence of dominant firms, he cautioned regulating this innovative culture too early so as not to threaten its potential for the economy and for innovation. Jacques Bughin, Director of MGI, mentioned that it seems as if the economy is becoming digital at a very fast pace. 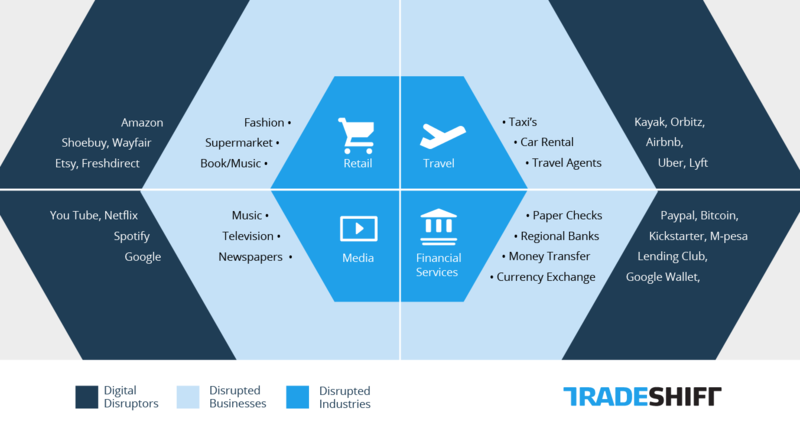 But in fact only 20% of the market consists of companies providing digital services; 80% of the market is still made up of companies operating with analogue services. He agreed that both globalisation and digitalisation are driven by the enormous value of data, and that there is scope for market dominance by a few players. The potential of digital to innovate the market is extremely important, and balance is required in any regulatory approaches to avoid missing this opportunity. Roxanne Varza, Director of Station F, France, was also very optimistic about the overall benefits that technology is providing to our societies and to startups in particular. She urged the audience to, “find the right balance in ensuring that innovation can thrive and only regulating what has to be regulated. We need to be very careful with messages we send concerning competition – they have the power to hinder innovation”. She mentioned that in regulating Uber in France, many small startups offering similar but different services have also been negatively affected. Ariel Ezrachi, Author of Virtual Competition: The Promise and Perils of the Algorithm-Driven Economy, agreed that the internet is the closest thing that we have to an open market, but safeguards are needed. Innovation and investment are very important but the potential of digital to increase inequality also needs to be addressed. Big data, sophisticated computer algorithms and artificial intelligence are not inherently good or bad, but that does not mean their effects on society are neutral. Their nature depends on how firms employ them, how markets are structured and whether firms’ incentives are aligned with society’s interests. At times, big data and big analytics can promote competition and our welfare by making information more easily available, but digital services can be offered in a manner that is not transparent, for example in relation to pricing where platforms do not provide information on average prices. If the data that companies hold about consumers indicate that they do not have a high income potential, these consumers may pay more for services as, over the long term, consumers with high income potential are more interesting. Regulation has the connotation of being slow, rigid and potentially inadequate for the fast pace of the digital market. But lack of transparency and asymmetry in information could also be addressed by more agile measures that would promote real data privacy, and require companies to be open about the average prices they charge for their products. The panel also debated why a small number of US and Chinese companies have been so successful. Constantijn van Oranje-Nassau highlighted that while some Chinese companies have been supported by the state, a number of companies have developed outside the traditional system with non-Chinese venture capital being invested. He gave WeChat as an example. He also mentioned that European companies such as Spotify have done very well, even though they have had to overcome many more barriers in terms of different languages, cultures and jurisdictions. For a long time there have also been fewer venture capital rounds in Europe. Roxanne Varza explained that in fact, since Brexit, it has been easier for French startups to have access to venture capital. She also emphasised that for startups it is very important to find services that deal effectively with local issues that need addressing. Blablacar is an example of the success that can be achieved if a business model and service is tailored to local needs. Roxanne Varza referred to education as another way to address inequality in the digital area. She mentioned that she finds that most people that are involved in startups share the same type of profile and education. She called for measures to help people from more diverse and less privileged backgrounds to get involved more. Constantijn van Oranje-Nassau seconded this call, commenting that it would be very important to ensure that children are taught coding from a very early age. In traditional, more conservative schools there is not much appetite for this, but ensuring that schools in neighbourhoods serving less-privileged children would teach coding would really provide a long-term advantage for them. How can we ensure competition in a digital environment? How much should digital markets be regulated? Would too much stifle growth or innovation? Can regulation even keep up with the fast pace of digital world? Do you think facets of the digital market, such as big data, big analytics or artificial intelligence, are inherently good or bad? Or does their nature depend on how firms employ them? The Forum Network is an interactive space where concepts are challenged and new ideas are formed to shape better policies for better lives. Comment below to give your thoughts and continue the conversation!